Whenever I see some kind of chocolate I’ve not tried before, I usually find some justification for buying it, especially if I can bake with it. Recently, I found Schokinag’s semi-sweet chocolate baking chunks and knew that I had to have them. 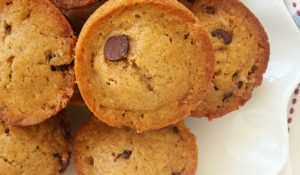 As much as I use chocolate chips, I knew that they would be put to good use. Of course, the first test was a simple taste test. Quinn and I both gave them an enthusiastic thumbs up. Then, I started trying to think of just the thing to bake using them. While I flipped through shelves of cookbooks and countless bookmarked recipes, Quinn took the simple approach of unfolding the enclosed recipes and quickly pointed out his recipe choice. I’ll admit that I probably wouldn’t have picked out this recipe on my own. While I love oatmeal cookies and chocolate chip cookies, the dried cherry component just didn’t appeal to me. However, I have to say that after sampling the finished product, I was extremely glad I made them. I love the chewiness that oats give to a cookie. The merits of chocolate really need no explanation here. As for the cherries, I was really surprised at how much I liked them. They add a nice tartness to counterbalance all the chocolate. Although I don’t think I’d eat them on their own, their presence in these cookies is just simply delicious. 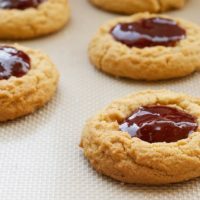 These sweet, tart, chewy cookies and their great flavor combination are irresistible! 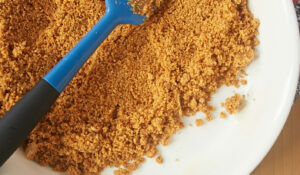 Using an electric mixer on medium speed, beat the butter and brown sugar together until smooth. Add the eggs one at a time, mixing after each addition. Mix in the vanilla. In a separate bowl, whisk together the flour, baking soda, cinnamon, and salt. Gradually add to the butter mixture, mixing just until combined. Do not overmix. Stir in the oats, cherries, and chocolate. Drop by tablespoonfuls onto the prepared pans. 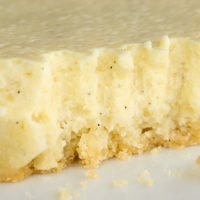 Bake for 10 to 12 minutes, or until the bottom edges are lightly browned. Cool on pans for a few minutes, then remove to wire racks to cool completely. These may also be made into bar cookies. Press the dough into a lightly greased 13″x 9″x 2″ baking pan. Bake for about 30 minutes. These look so good! I’ve never seen dried cherries before, are they hard to find? My husband is currently obsessing over the new Diet Dr Pepper Chocolate Cherry soda and was just saying how I should make him some cookies. I think he would love these! I might try with semi-sweet chocolate, he isn’t a big dark chocolate fan. These look like pure yumminess. WOW! That pops right out of the screen . making me want to take a huge bite. I love cherries and chocolate but pairing them in an oatmeal cookie would never have crossed my mind! I have been looking for an unusual oatmeal cookie recipe for a few weeks and now I can finally stop. These look really good! Beautiful photos too. Just curious but where did you find dried cherries? And were they sweetened? You’re officially added to my RSS feed! 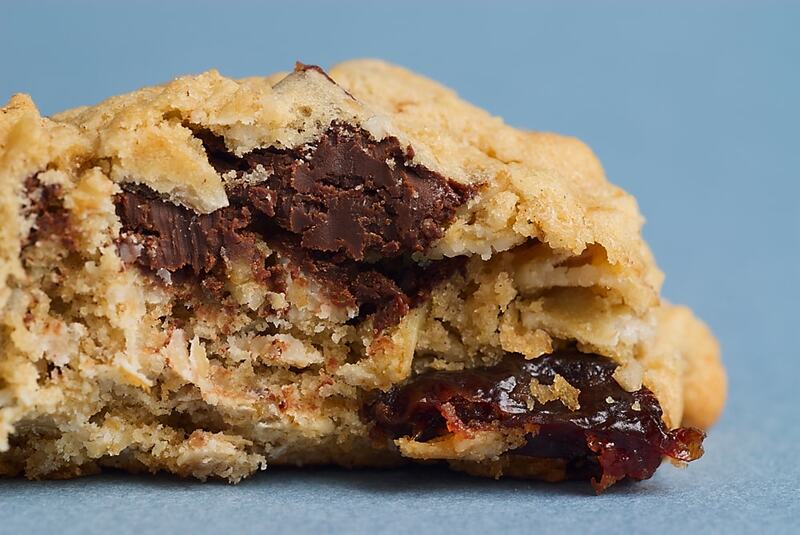 I like a good chewy cookie with chocolate chunks and I think this one falls under that category. I love your photos. They really make me hungry! These look delicious! I’ve made something similar, with chopped almonds; the combination of dried cherries, dark chocolate, and oatmeal is killer…now I’m craving them again! I love that top picture – beautiful! I can’t believe the cherries would have made you think twice about making these, they’re the main draw for me! They look great! I wouldn’ t necessarily have thought “oohh yum cherries!” but after reading your post, they seem like a good addition. Plus that picture is totally drool-worthy. Scatteredmom, I hope you like them! Chibiuniverse, I found the dried cherries next to the raisins at my grocery store. They actually had many different dried fruits. Michelle, I haven’t tried the chocolate cherry Dr Pepper. But, I bet your husband would like these cookies if he likes that combination. Meeta, I probably wouldn’t have made these without Quinn’s urging, but they are so good. Thanks, Julia! Look for the cherries next to the raisins. Yes, I believe they were sweetened. They still have quite a tart kick, though. Aran, thank you so much! Amy, your version sounds delicious. I bet those almonds were a great addition. Brilynn, to each his own, I suppose. I am a dried cherry convert now. Thanks, Amanda. These cookies made a dried cherry believer out of me! Mandy, thank you so much! 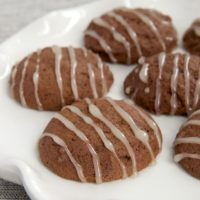 Absolutely delicious looking cookies! You take excellent photos btw! Ingredients sound perfect! This recipe also has all brown sugar (& not as much sugar as a usual cookie recipe) which I like the flavor of better. Have only been able to find the sweetened dried cherries in local markets…I’m off to purchase. Drool-worthy photo, too! JEP, I am also a huge fan of brown sugar. Hope you find the dried cherries! I want to try these special cookies.I’ll tell you when. These look wonderful, a must try. Cork & Feast, you’re so right. I think you could substitute just about any kind of dried fruit. Francesca, I hope you enjoy them! noble pig, let me know what you think if you make them. I’m definitely going to give this recipe a shot. I would gladly have one or two now next to the coffee I am going to grab. These are sinful, Jen! I have never tried dried cherries, but I love the tart/sweet combination. Marq, this was my first go with dried cherries. I’m not a raisin fan at all, but I do like other dried fruits. Francesco, I’m not a coffee drinker, but I would imagine these would go nicely with some. Thanks, Patricia! The tart and sweet sort of balance each other out. Hi Jennifer! I know you have a lot of readers and you have probably been tagged for a meme before but I’m tagging you again. I hope it’s ok!!! I am a new addict of the dried cheeries or cranberries in chocolate chip coookies. I was not convinced until B. urged me to make them and then I got hooked. I’ll try this recipe this weekend! Tartelette, I hope you like the cookies! I made these for another co-workers birthday and they turned out great. I subbed cranberries for cherries as the store was out, and there was no need for a change to the sugar levels that I could tell, they taste perfect. I did grate a bit of the chocolate so the cookies have chunks and a thorough chocolate hint. I love the way they bake up and keep their shape. Another very good recipe. Eh, I’ve not tried the cherry flavored craisins. Not sure I’d want to, actually. I’m sure that any kind of dried fruit would work, depending on your preference. Michelle, I’m glad you liked them. I bet those cranberries were delicious! This cookies look wonderful! I’ve been visiting your site for quite awhile now. I am in love with your photography (and your girl scout cookie recipes lol). Crap, wrong blog! I swore the girl scout cookies were on here. Now I made a fool of myself and can’t even delete my comment. Still, I love your photography! Carla, don’t worry about it! Thanks! 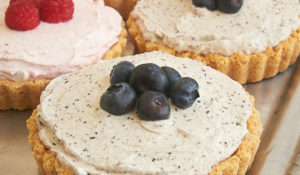 A friend of mine at work made these (she loves your blog, too) She brought me one to taste and they were really yummy. It’s a good thing she only had a few left. I think I would have eaten the whole batch. I’m so glad you liked them, Bakerella! They’re a bit different, but I’m so glad I tried them. furiousball, thanks for this morning’s first laugh! Made these this evening for Easter. They turned out perfect. They are sooooo delish!!! Glad you like them, Kim! Happy Easter! These are my husband’s new all-time favorite cookie. I make the dough as-is, then freeze chunks of it on a cookie sheet (and then put them into a ziploc when they’re frozen). Then, when he wants a few, I put them in a 400 oven and bake! They’re SO good! (And if you live near an Aldi, dried cherries aren’t very expensive there.) Thanks Jennifer! I added a dash of cloves, a bit of dark brown sugar, some regular sugar, and a tbsp or two of butter flavored shortening and my co-workers can’t stop grabbing them. They loved them! I must admit that the cherry adds some zing. Becca, I’m glad they were a hit! Your additions sound like great ideas. Thanks for all the recipes. These cookies turned out great! I used craisins and semi-sweet chips since they were in the house…I look forward to the cherries (they are just so expensive~ and hard not to eat just on their own!). Hi! I just came across this post when I was looking for a different kind of oatmeal cookie. These definitely caught my eye! I ran out to the store to get some dried cherries and whipped a batch up last night! My hubby could not stop eating them! They were such a treat! I love the combo of the sweetness and tartness! These will definitely become a new staple in our house! 🙂 Thanks for posting! Just acquired some beautiful dried cherries. THIS is the recipe I will be making. They look stunning! Just got done making these-WOW~ Definitely going on my cookie exchange for this holiday.Thanks! 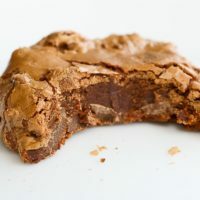 I made this recipe as a bar cookie in a 13×9 pan and they were absolutely delicious! Can’t wait to make them again! WOW!! I made these just now for the first time and they turned out AMAZING! 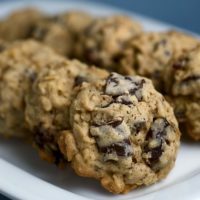 I was hesitant to bake these at first- as I always am when it comes to a new cookie recipe- especially since I’ve been trying to make the perfect chewy and gooey oatmeal cookie for a long time. This is it. I’m jotting down this recipe now into my recipe box. Thank you so much!! I’ve made this recipe a bunch of times, and that it is a keeper! We are snowed in here in Michigan with up to 18 inches expected tonight! I decided to make these little gems due to the fact that I had all of the ingredients and they sounded incredible, if not slightly healthy. They turned out just like the ones in your picture and taste amazing! Thank you for making us a happy, content, albeit snowy bunch. I’m glad you enjoyed them, Diane. Stay warm! Like Diane, I’ve been looking for a good cookie recipe to beat the winter snow doldrums here in Michigan. Plus my husband is a resident doctor and wanted to bring a treat in to his team, so I was able to accomplish both goals with this recipe. He said they were a big hit! 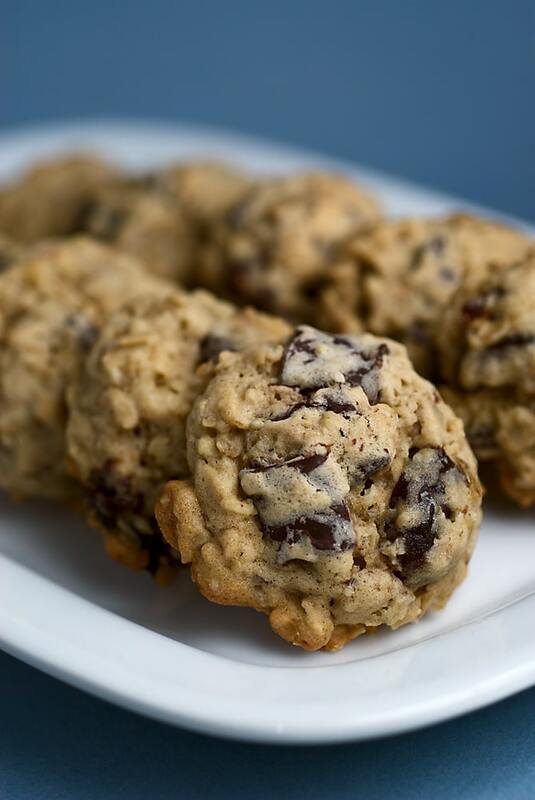 I felt like they were slightly healthier than your average chocolate chip cookie with the oatmeal and the cherries, and this recipe had everything I was looking for. Thanks for a great one that I will be keeping in my recipe box. I had some dried sour cherries that i needed to turn into a less healthy snack. These cookies were perfect! I did sub in half whole white wheat flour and 1/4 cup applesauce for 1/4 cup of the butter. I used dark brown sugar. Fantastic! Thanks for a great recipe! Found your recipe early today to use up some dried cherries I had and realized I was out of butter. Darn!! I ended up replacing the butter with organic unrefined, cold pressed, virgin coconut oil I had in my pantry. They actually turned out quite good!!! In fact, I’m going to give some away to my in-laws for them to enjoy. Great recipe! And simple too!! Nice improvising! So glad you liked them! I make these cookies several times a year – always around the holidays – and people absolutely love them. I’m a little more generous with the chocolate and cherries. I think I will try coconut oil next, per Sarah’s experiment. 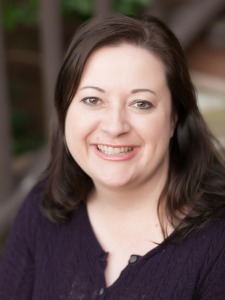 This recipe is actually how I discovered the Bake or Break site Thank you Jennifer! Have you ever substituted almond extract? Hi, Mary! 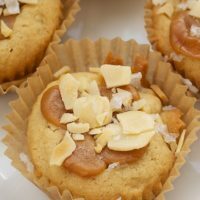 I’ve not tried almond extract in this recipe, but that sounds like a great variation. I’d just substitute an equal amount for the vanilla. I made these today and they are delicious. The only thing I did differently was i refrigerated the dough for about 30 minutes before dropping scoops of the mixture. I like the combination of sweet and tartness. I’m glad you liked them, Linda! 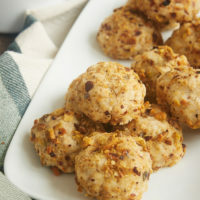 I liked these but when I make them again, I’m going to reduce the amount of oatmeal. Maybe use only 2 cups. Otherwise, the flavor of the cherries combine with the dark chocolate was awesome.